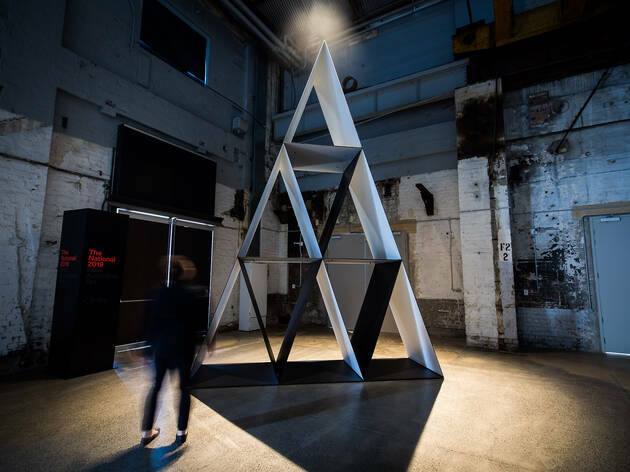 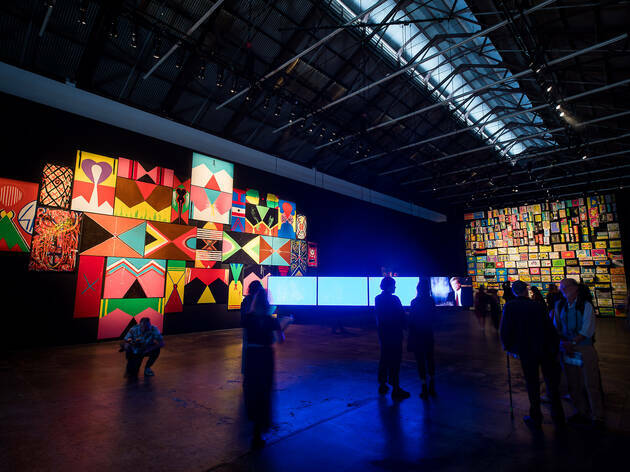 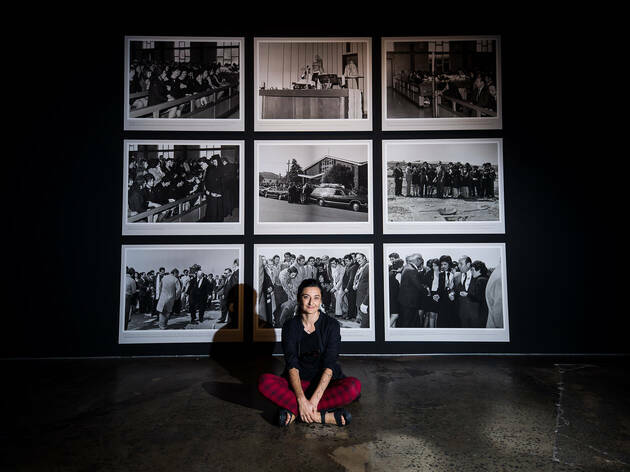 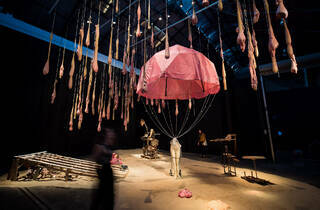 Before you even set foot inside Carriageworks, you see the first works from The National, Sydney’s biennial festival of Australian contemporary art. 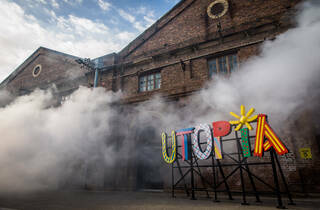 Both are intrinsically connected to the history of the site as a workshop for steam engines. 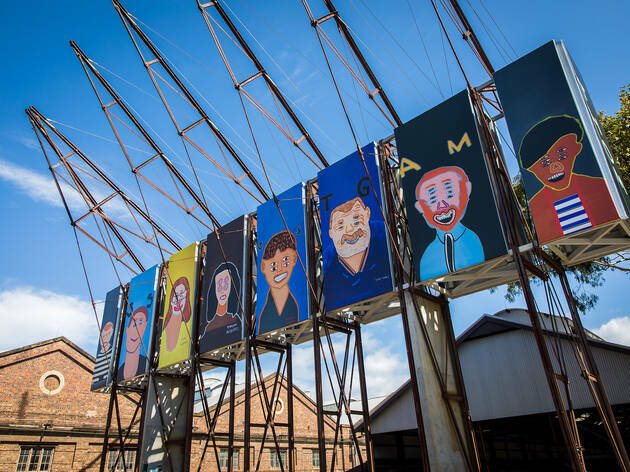 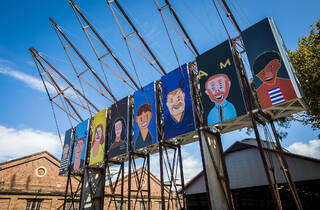 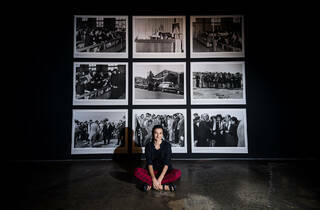 Thom Roberts’ portraits of people – alongside the trains with whom they’re identified – hang as banners across a billboard to greet you at the Wilson Street entrance to Carriageworks. 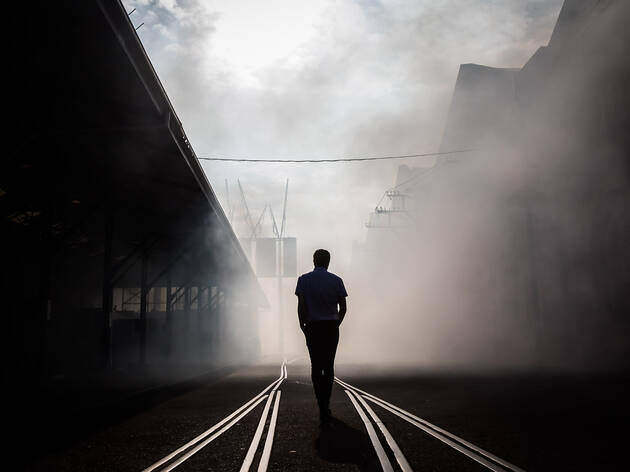 As you walk down the stairs towards the building, steam billows across the old tracks, creating a thick fog. 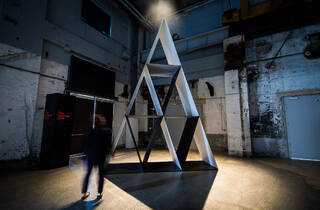 This is Tom Múller’s installation, ‘Ghost Line’. 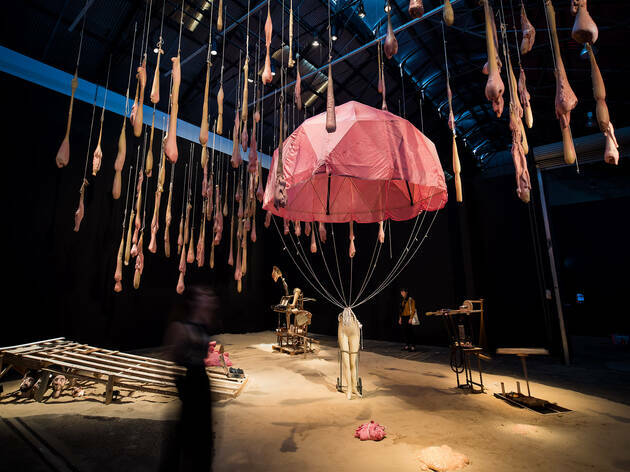 It was important to curator Daniel Mudie Cunningham that the exhibition at Carriageworks – which features 18 contemporary artists from across the country – spilled out from the building and spoke to the site itself. 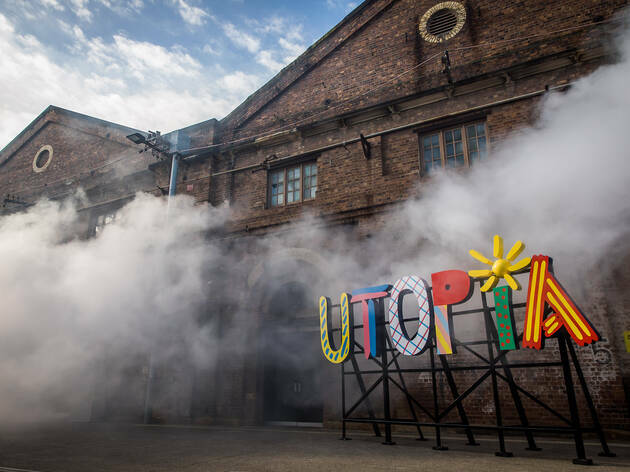 That’s why, at the entrance to the exhibition space, there’s Sam Cranstoun’s ‘Utopia’ sculpture, inspired by Ken Done’s 1988 ‘Australia’ sculpture. 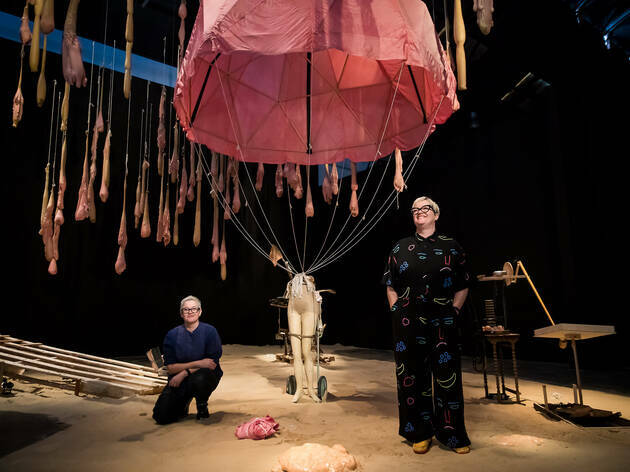 As you venture inside, there are artworks that speak to popular culture, curious historical tales, and works that act as unlikely postcards from places and around the world. 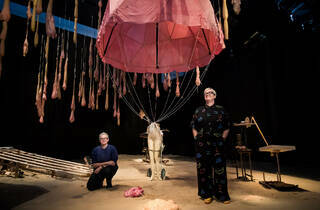 You can hop up on a platform in Nat Thomas’ ‘Postcards from the Edge’ and recreate a key scene from the Meryl Streep and Shirley MacLaine movie, and venture to the Arctic Circle in Mish Meijers and Tricky Walsh’s room-filling installation ‘The Crocker Land Expedition’, which imaginatively recreates a 1913 voyage in search of land that turned out to be a mirage. 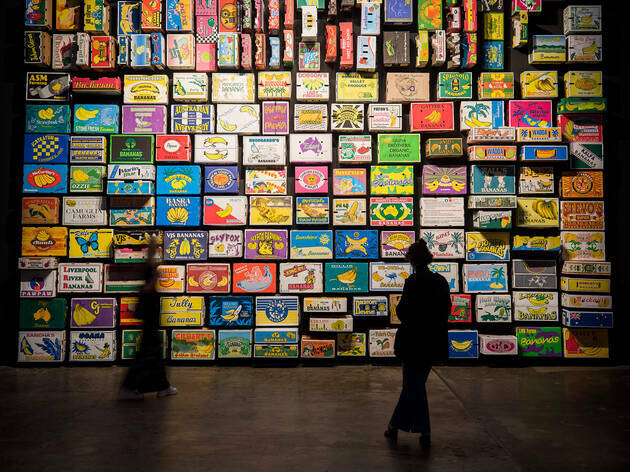 Tony Alberts has created a two-storey house of oversized black and white cards, and Sean Rafferty has covered an entire wall in colourful fruit boxes from Queensland. 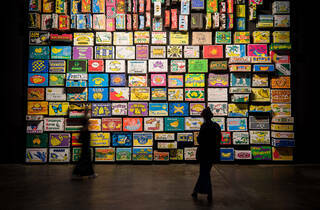 Another wall is covered by Eric Bridgeman’s colourful shields, which are inspired by his Papua New Guinean background. 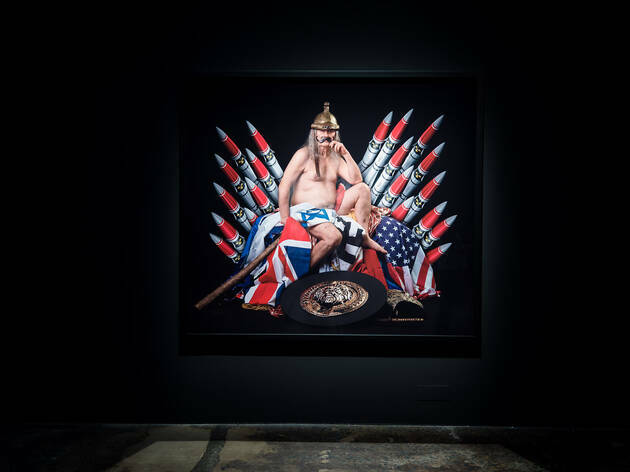 Melanie Jame Wolf pulls apart pop music videos from the MTV era and puts them back together in her video work, and Tara Marynowsky has defaced the trailers for Pretty Woman, Shakespeare in Love, Indecent Proposal and Species to hilarious and provocative effect. 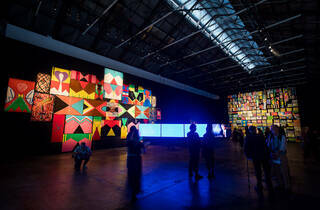 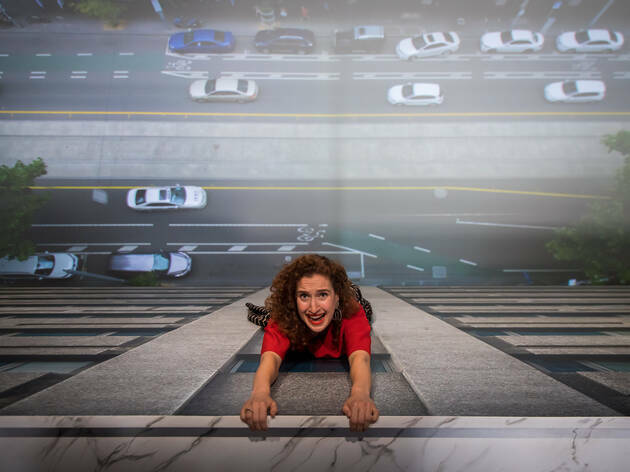 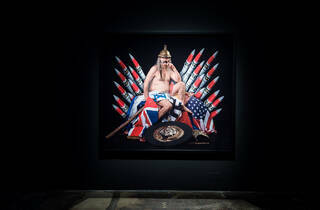 The other artists showing work at The National at Carriageworks are: Troy-Anthony Baylis, Cherine Fahd, Julie Fragar, Amala Groom, Clare Peake, Eugenia Raskopoulos, Luke Roberts and Mark Shorter.